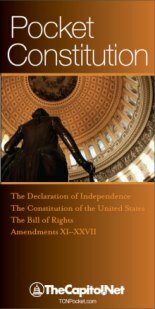 Committee Report: Document accompanying measure reported from a committee, containing an explanation of the provisions of the measure, arguments for its approval, and certain other matters. A committee report is both an advocacy document and an explanatory document, and contains a range of information that cannot be found elsewhere, such as the verbatim changes the proposed legislation makes to existing federal law. 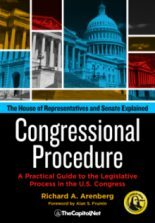 When a committee sends a measure to the floor by reporting it from the committee, the committee usually files a written report to accompany the measure. 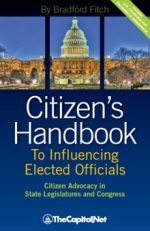 The report describes the purpose and intent of the legislation, and explains the committee’s action on the measure, including votes taken in markup. The report indicates changes proposed to existing law, provides information on the measure’s cost, and contains other information. Individual member statements can also be included in the report. A committee report provides a useful substantive and political explanation of a committee’s intent. When more than one committee reports a measure, the report number remains the same for all committees. Reports are designated H. Rept. in the House and S. Rept. in the Senate. For example, S. Rept. 112-44 was the 44th Senate committee report filed in the 112th Congress. Once the motion to report is agreed to, a bill is ordered reported; it is not actually reported until the committee report is filed in the chamber. While House committees are normally required to file a report, Senate committees have discretion whether to file one. 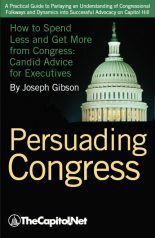 When a committee orders a measure reported, it is incumbent upon the chair to report it promptly and to take all steps necessary to secure its consideration by the House. Staff are usually granted authority to make “technical and conforming” changes to the measure reported. 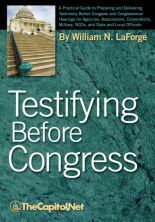 The cover page of a committee report, usually formatted by the Office of Legislative Counsel, provides the title of the bill, the date the report was ordered printed, the name of the chair submitting the report, and a notation to the legislation it accompanies. There is a reference to the inclusion of a Congressional Budget Office (CBO) estimate and to any minority, supplemental, or additional views that were filed. The cover page also identifies committee action on the legislation and the number of the report itself. 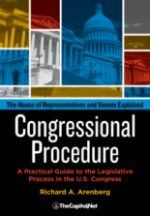 Several House committees are required to include specific provisions in their committee reports. The Committee on Appropriations, for example, must provide a statement describing the effect of any provision of an appropriations bill that changes the application of a law, a list of appropriations for unauthorized expenditures, and a list of rescissions and transfers of unexpended balances. In reports accompanying resolutions that change House rules, the Committee on Rules must include the text of the rule proposed to be changed and a comparative text showing the proposed change. In reports on measures changing the Internal Revenue Code, the Committee on Ways and Means must include a tax complexity analysis prepared by the Joint Committee on Taxation. If the House Ways and Means Committee reports legislation designated by the majority leader as major tax legislation, the report must include a dynamic estimate of the changes in federal revenues expected to result if the legislation is enacted. Minority, Supplemental, and Additional Views: Statements in a committee report, presenting individual or group opinions on the measure. Views of individual committee members or groups of committee members are required to be included if a member or members request permission to include them. Minority views may be filed by committee members who are not minority-party members.